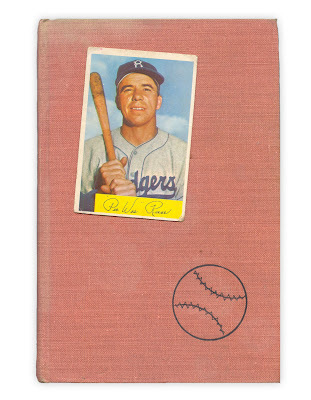 Pee Wee Reese baseball card, 1954 Bowman #58. Found in "The Best in Baseball" by Robert H. Shoemaker, published by Crowell, 1959. What a wonderful coincidence. I work as an aide at an elementary school and the second graders had to write about Pee Wee. I had no idea who he was or what he looked like. And now I know both.